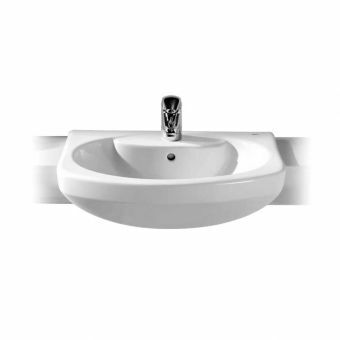 VitrA Shift Semi Recessed Basin£144.00 inc.VATRRP: £180.00 (Save 20%)Semi recessed basin designed for a countertop or suitable furniture, 550mm wide with one tap hole and overflow. 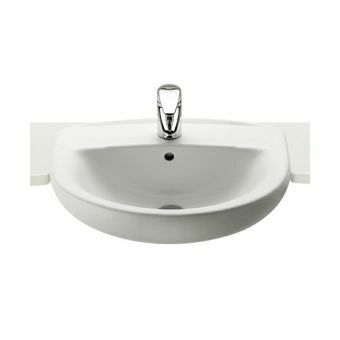 VitrA M-Line Semi Recessed Basin£187.20 inc.VATRRP: £234.00 (Save 20%)600mm in width, designed to be semi recessed into a counter top or compatible furniture, 1 tap hole with overflow. 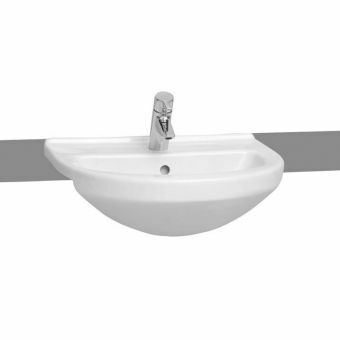 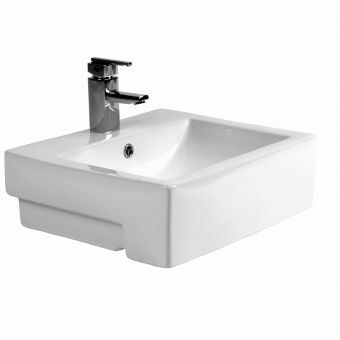 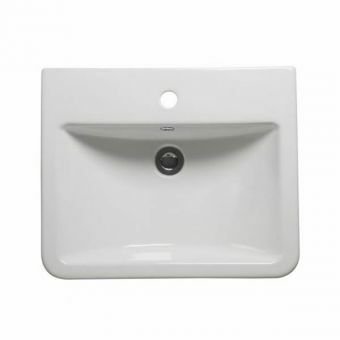 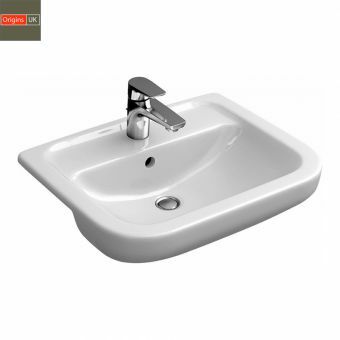 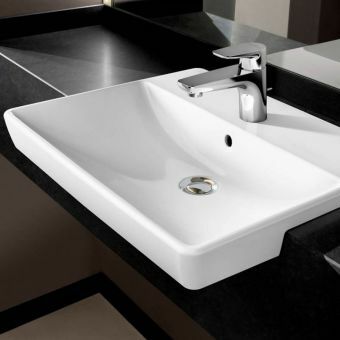 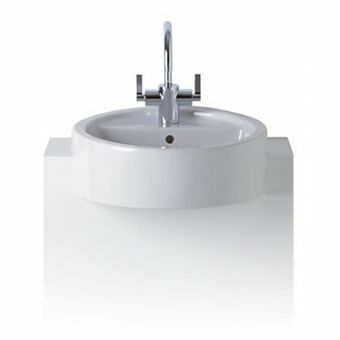 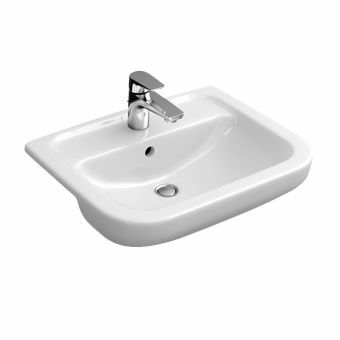 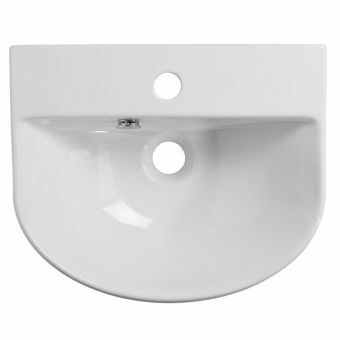 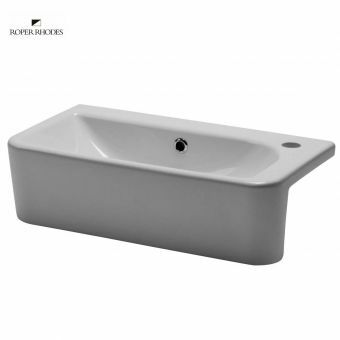 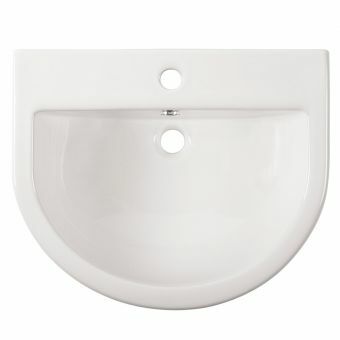 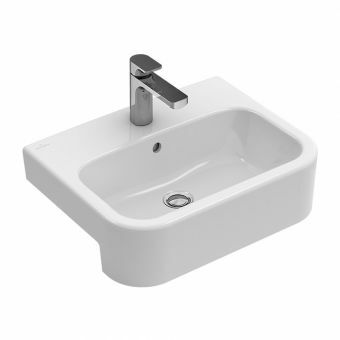 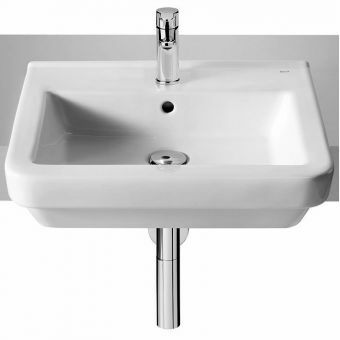 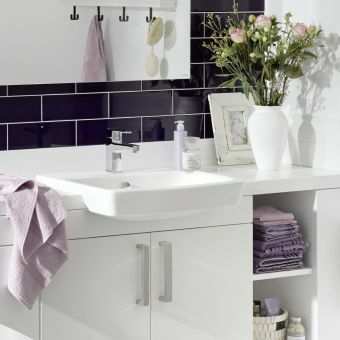 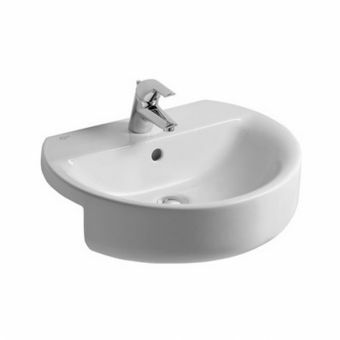 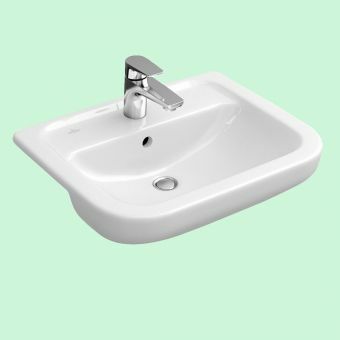 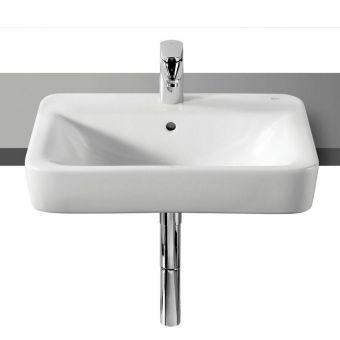 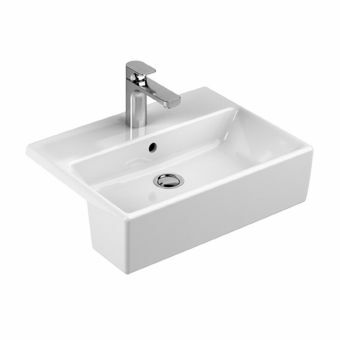 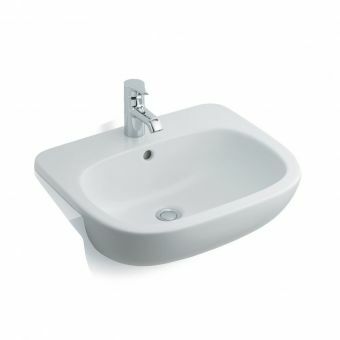 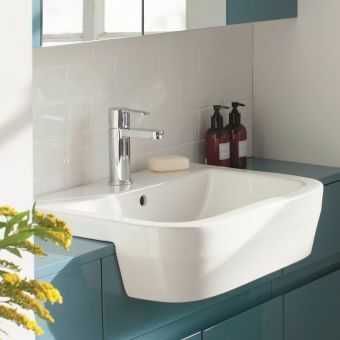 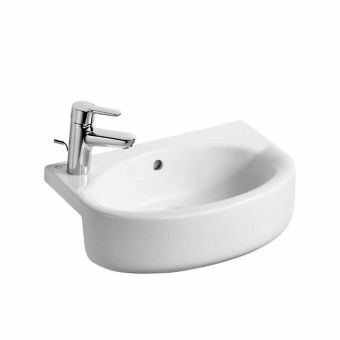 At UK Bathrooms, we are proud to be able to offer you an extensive range of semi-recessed basins from which to choose. 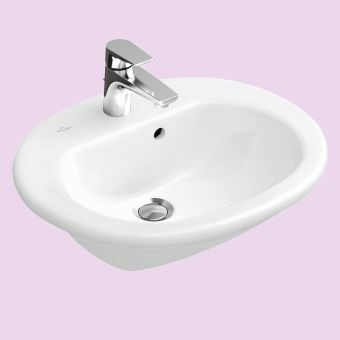 They are produced by some of the leading names in the industry and there is certainly a style and design available to suit you. 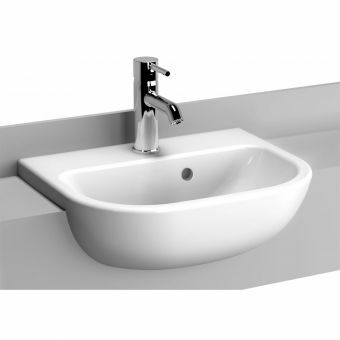 All our products are sold at discounted prices and some of the models are available with free delivery or 0% finance. 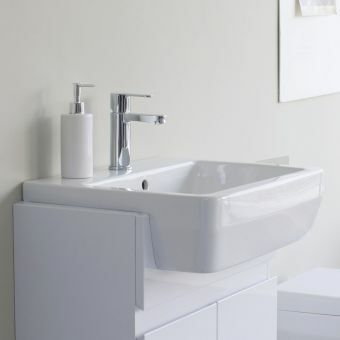 From our recessed range, the Roca Rodeo is particularly decorative and provides various options for your bathroom’s decor. 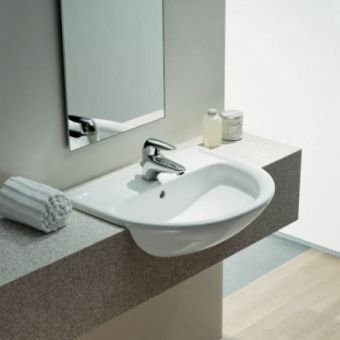 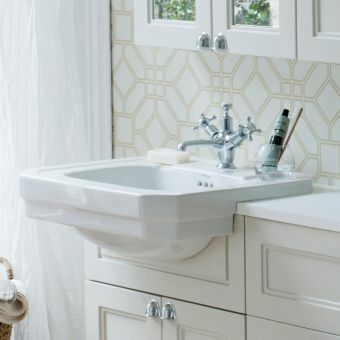 The low basin design also allows you to keep toiletries and associated items on the countertop. 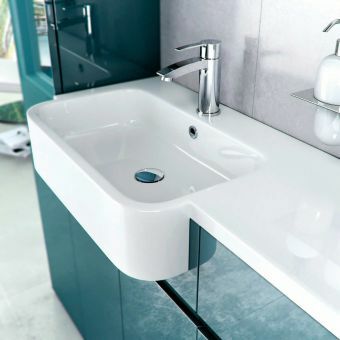 For a semi-recessed option, Roca provides the chic and minimal styled Meridian-N Semi-recessed Basin A32724S000, which combines winning technology with its functional design. 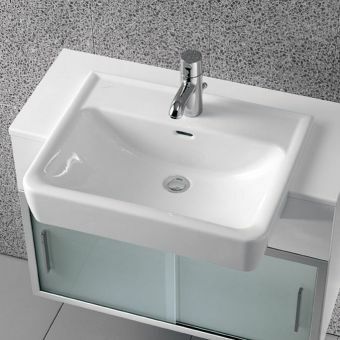 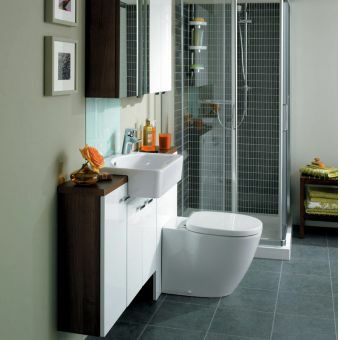 An extensive range of taps can be fitted to this product. 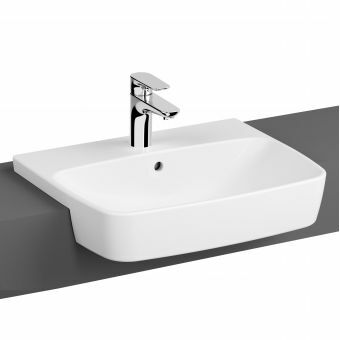 The RAK Compact Deluxe Semi-recessed Basin illustrated here is perfect for use with a suitable vanity unit or countertop and is typical of the stylish and high quality products from RAK Ceramics. 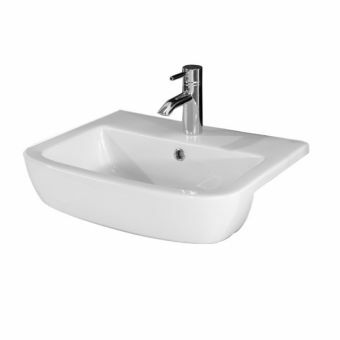 Also from the RAK range is the Metropolitan Semi-recessed Basin, designed for longevity. 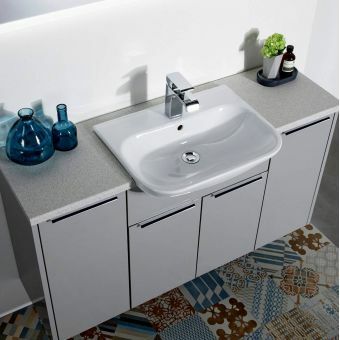 It can be used in conjunction with vanity or countertops and like all ceramic products from RAK Ceramics carries a 20-year guarantee. 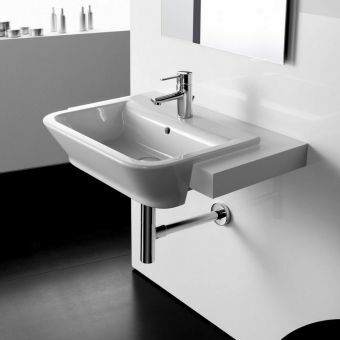 Laufen provide options with their PRO A Drop-In and PRO A Semi-recessed Basins. 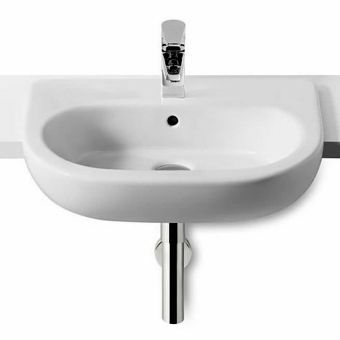 Both are available in white ceramic and the Drop-In version sits with the rim flush with the work surface as its weight holds it firmly in place.